Another way we prepare the body of Christ for the end is by making room in our worship for expressions of suffering. In our fallen world, suffering is unavoidable. Worship must train God’s people to suffer well, and we do that by giving believers a vocabulary of suffering. The words we sing, pray, and speak arm them with ammunition so they’re ready for the war of woe when it comes. Don’t be afraid of singing songs that highlight suffering. You may find your congregation surprisingly ready (and needy) to come together and lament over what is happening in their lives. Again, we have a great resource in the Psalms, at least sixty-seven of which are regarded as lamentations, either in whole or in part. Knowing that suffering would be an inescapable part of the human experience, God ordained almost half of His inspired songbook to contain songs of suffering. “My God, my God, why have you forsaken me?” (Ps. 22:1). “Why have you forgotten me?” (Ps. 42:9). “How long will you hide your face from me?” (Ps. 13:1). “You are my strength” (Ps. 22:19). “Put your hope in God, for I will yet praise him, my Savior and my God” (Ps. 42:11). “But I trust in your unfailing love” (Ps. 13:5). All three of these ingredients—honesty, hope, and solidarity—are necessary to suffer well, and this is why we need to be able to express our suffering in worship. Plan your worship sets and liturgies with these ingredients in mind. We mentioned earlier the need for songs which confront death and how many great hymns have included verses or expressions which deal with death. So why have those verses been edited out of so many hymnals today? There is a good pastoral reason for this. We need to be sensitive to how we wield the words of suffering and death before the people of God. Some people are in the throes of death’s crises, and if we cavalierly brandish Death’s name, we can inadvertently cut wide their bleeding heart. So our speech and song need to be pastorally sensitive, and we must go about our worship planning with prayer and wisdom, aware of the condition of our flock. These thoughts lead us to a common pastoral ministry that doesn’t often get discussed—funerals. Worship leaders are regularly called on to provide music and even service planning for memorial services. These times are precious and vital moments in the life of any worship pastor, and we should be ready to engage them. Remember, funerals are church worship services. Here are three insights I’ve gained in planning and leading worship for families walking through the valley of the shadow of death. 1. Make service planning with families more like a counseling session and less like a business meeting. Meeting with a grieving family to go over the memorial service for a loved one is a sacred time and a key pastoral moment. Your normal weekly routines go out the window when someone dies and a funeral is being planned. Your job in that moment is to listen, listen, and listen some more. Expect the meeting to go longer than you think. Expect rabbit trails. Expect sobbing and silence. Expect numbness. Expect chaos. Expect indecision. Grieving families often face a paralyzing amount of decisions. They are over- loaded with choices and details—casket, cremation, burial site, will, insurance, property. One of the best things we can do in this pastoral moment is to make service planning as easy as possible. Sometimes family members and friends come to you with a list of ideas. Make it easy for these ideas to be implemented. Other times, the family hasn’t thought about what the service should look like at all. Come ready with a service template and ideas and options for songs and Scripture readings. If they’re struggling to make a decision, make some for them. I often say, “A lot of people love this passage, and I think it would be perfect if one of your family members read it.” Whatever you do, above all, “weep with those who weep” (Rom. 12:15). Funeral planning is less about getting the tasks done and more about ministering Christ’s love and grace to weary mourners. 2. At the funeral, lean into pain and away from platitudes. I’ve seen how awkwardness and a sense of the gravity of the memorial service can cause the best worship leaders to buckle under the pressure. 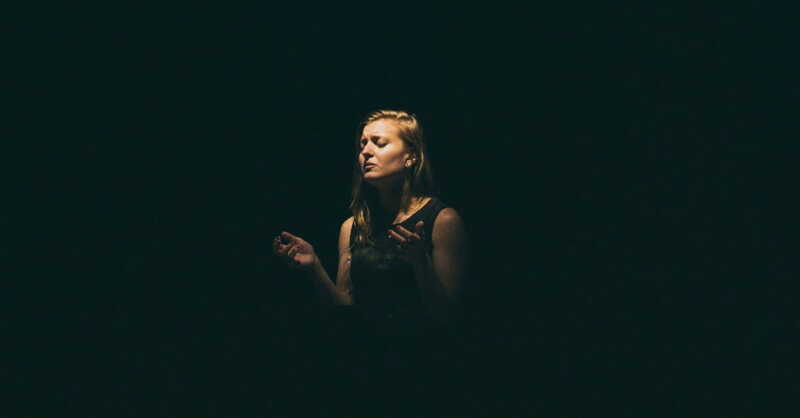 In less liturgical settings, there may be an expectation that a worship leader should do some talking, and I’ve heard people say some really unfortunate things—even hurtful, wounding things— that can linger in the memories of friends and family members. My advice is to plan out what you’re going to say, say it, and then (pardon me) shut up and play. Don’t ad-lib. Our role in the service is to be a calm, stable, and sensitive presence, leaning into the pain of those around us. Avoid platitudes like, “She’s in a better place,” or, “We should all trust in God’s sovereignty,” and instead rely upon the Word of God and the hope of the gospel. A memorial service is a time, in Scripture and song, to make much of Jesus’ death and the hope of resurrection. And it is a time to worship. 3. Be ready to break your normal rules. The ultimate goal of a funeral service, as with any time of worship, is the glory of God. That said, if there is one service when your planning and leadership should be aimed at a narrow group of people, it’s this one. The memorial service is a vital way the Holy Spirit ministers particularly to the closest friends and family, and part of the purpose of your leadership in that time is to simply help the pain of death hurt a little bit less for them, if only for a brief moment. Because of this particular focus, unique to the funeral, I find myself breaking a lot of my normal “rules” in worship planning. I’ll be honest. I’ve sung some awful songs at funerals. I’ve sung cheesy country songs. I’ve sung old-school eye-roller worship songs with sappy sentimentality and spurious theology. I’ve sung and led hymns I can’t stand. I’ve made a fool of myself and nearly violated my conscience. And would I do it again? Absolutely. Why? Because a pastor gets busy weeping with those who weep. And when the people are weeping, our job in that moment is to try to lessen the pain, not make sure we’ve got every single theological duck in a row. I’m not suggesting that you throw your theology out the window. But grief requires sensitivity to where people are in the moment. Was Jesus worried about compromise when a grieving, sinful woman was repenting as she washed His feet with her hair (Luke 7:36–50)? Was Jesus concerned about the religious establishment’s raised eyebrows as He ministered to a broken, heathen adulteress at a well in Sychar (John 4)? Was He worried about all the “worship rules” associated with the Sabbath as He was healing the sick (Mark 3:1–5)? God help us if all our so-called convictions prevent us from running to the need right in front of us, from falling into the dirt with them, from being conduits of His grace, love, forgiveness, and comfort. Death demands the rule of love (1 Corinthians 13). Moral compromise is not an option, of course. I am simply saying that some flexibility is required, more so in a funeral than in a regular worship service. We need to exercise pastoral instincts. In a day and age obsessed with now, the need for worship leaders to guide their people in honest preparation for death is more pressing than ever. And yet we must remember that there is truly only One who can lead us in worship, through death, and into life. So we look to Him who is able to keep us from stumbling and present us before His glorious presence without fault and with great joy (Jude 24). Come, Lord Jesus, and lead us from death to life. Taken from The Worship Pastor by Zac Hicks. Copyright © 2016 by Zachary M. Hicks. Used by permission of Zondervan. www.zondervan.com. Zac Hicks is Canon for Worship and Liturgy at Cathedral Church of the Advent (Birmingham, Alabama). He writes regularly at zachicks.com. He and his wife, Abby, have been married for more than fifteen years and have four children.